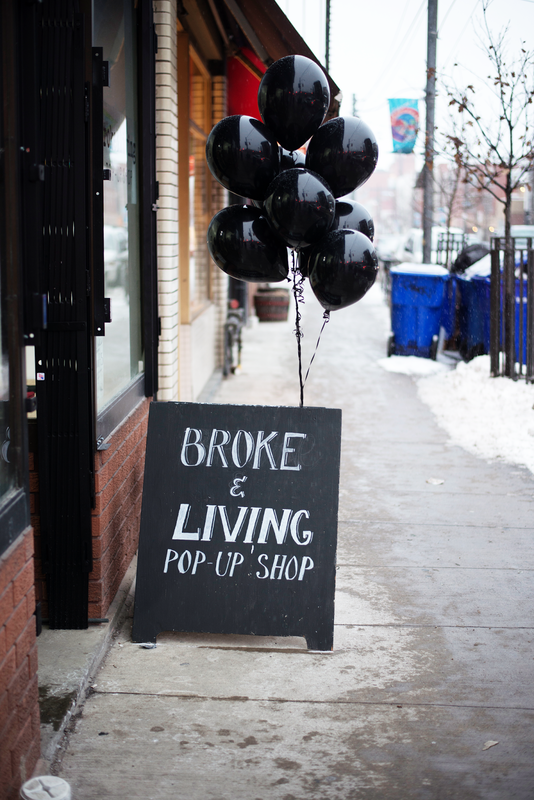 Our friends at Broke&Living held a charitable toque-centric pop-up shop last week at the Dundas West location of Sole Survivor Shoe Repair. 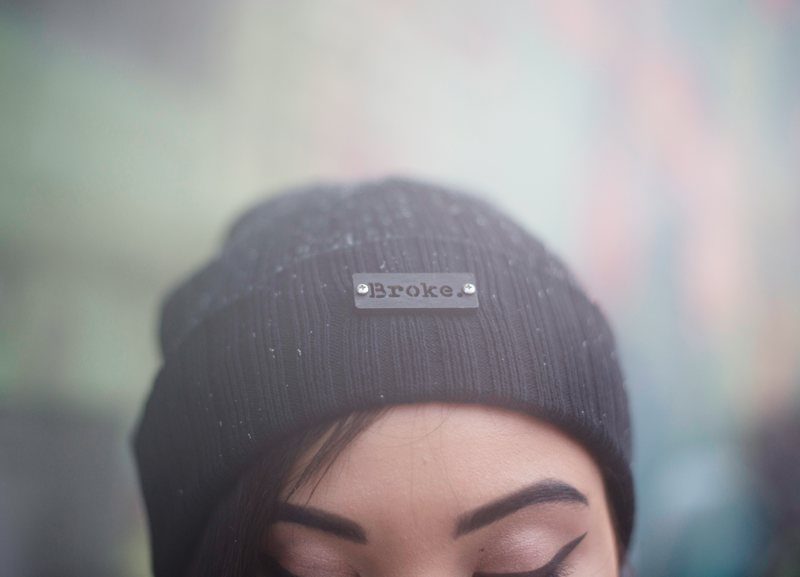 For every Toque sold, one was donated to Youth Without Shelter, a Toronto based charity for the benefit of homeless youth in distress. A charming event complete with a DJ and the chicest balloons ever, brought out friends and fans alike to support the cause in wake of an oncoming snow storm. Not to worry, the toques being donated will not boast the wooden "broke" plaque pictured below. 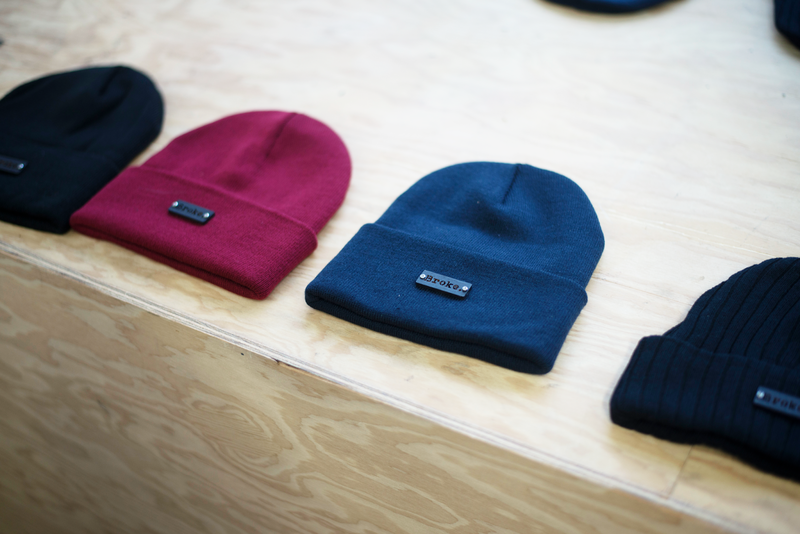 Plain black toques will be donated to the respective charitable organization. 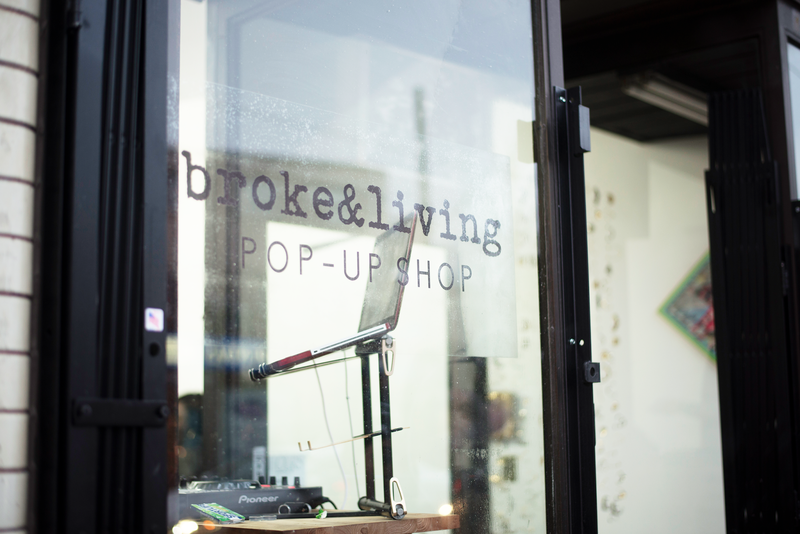 Check out brokeandliving.com and fall in love with their current collection of vinyl, wool, and brocade apparel. Visit www.yws.on.ca to find out what you can do to help homeless youth in Toronto.